“Thukhuma: Painting Myanmar in a Time of Transition,” on display at the FedEx Global Education Center at the University of North Carolina at Chapel Hill from April 4 to July 29, 2016, is a collaborative art exhibition that showcases 34 contemporary paintings from Myanmar. The paintings come from 34 artists and present different perspectives on the current social and political situation in Myanmar. 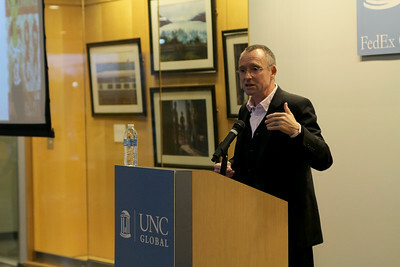 Ian Holliday, exhibit curator, gave a lecture titled “Freedom and Fear in Myanmar” on March 3 as part of a preview exhibition of “Thukhuma: Painting Myanmar in a Time of Transition,” that took place in the Florence and James Peacock Atrium of the FedEx Global Education Center at the University of North Carolina at Chapel Hill. 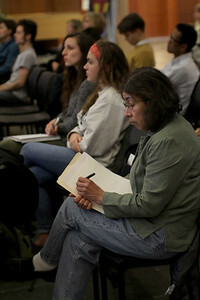 The lecture explored contemporary politics in Myanmar and was followed by a reception. 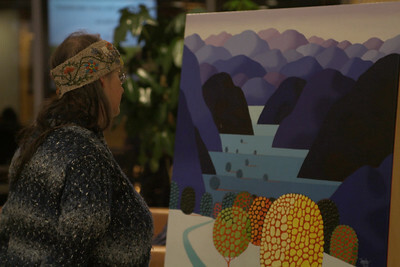 An attendee views one of the paintings on display. 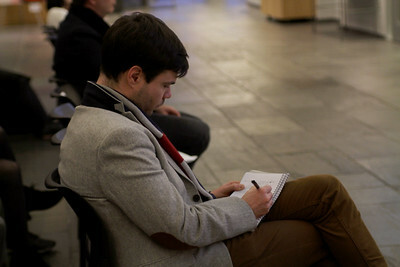 Lecture attendee takes notes while listening to Holliday. 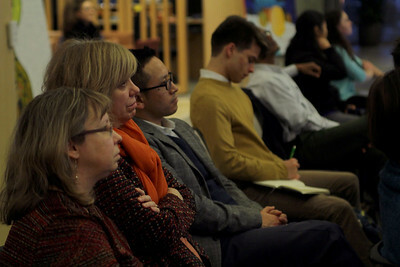 Thupten Norbu, associate director of Carolina Asia Center at UNC-Chapel Hill, listens along with other lecture attendees. 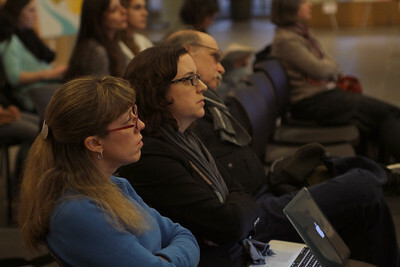 Melissa McMurray, international liaison officer for Global Relations at UNC-Chapel Hill, and Katie Bowler Young, director of Global Relations at UNC-Chapel Hill, listen attentively to the lecture by Ian Holliday.